Pliny (right) was a Roman author, naturalist, and natural philosopher, as well as naval and army commander of the early Roman Empire, and a friend of the emperor Vespasian. Oh that's who Pliny is! Pliny the Elder was born in 23 AD in Como (left) and died in Pompeii August 25. His parents were Celer and Marcella. His sister's name is Plinia and his nephew's name was Pliny the Younger, no info on his actul name was found unless that is his actual name. 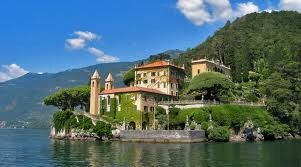 Born in Como 61 AD and died 112 AD in Bithynia. The year AD 79 is when Mt. 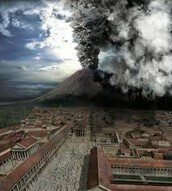 Vesivius (right) blew up! Both Plinys were right there to witness the eruption that obliterated Pompeii and Herculaneum. Pliny the Elder's notes are how we know what this cataclysmic eruption was like, and how it created a mushroom cloud "like an umbrella pine." 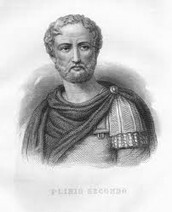 Though Pliny was ensconced in a relatively safe haven across the Bay of Naples, he decided to get closer to the action to record the event—and to evacuate some refugees trapped on the far shore—so Pliny sailed into the heart of the mayhem, dictating his impressions to a scribe as he went. The scribe made it back. 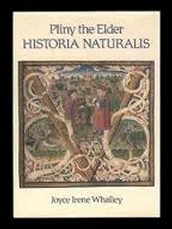 Pliny didn't, but... Pliny the Younger was at a safer shore and survived to tell this tale. 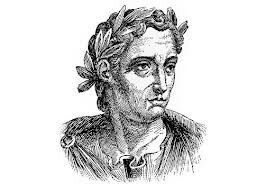 Why was Pliny so important? spices you could find in India, the habits of honeybees, the different kinds of trees, and everything else you can think of.